Listen to "1500 Words for a Complete Vocabulary" on your iOS and Android device. 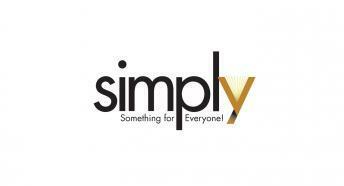 Simply takes a straight forward approach to helping you add new words to your vocabulary. This audio book is the final of three in the series, the first being SAT 100 core words and the second SAT & GRE Core 500 words. Those are intended to be a non-intimidating approach to adding core words to your writing and speech. Most such works are unduly complex and intimidating, something Simply seeks to avoid in all of its titles. 1500 Words is a more serious endeavor for those who wish to build a richer speaking and writing style. Simply researched over 50 years of SAT tests, etymology courses, and research by education experts to develop this list. The approach is brisk and conclusive, with just definitions so the listener can listen reasonably quickly once before repeating tracks as one is inspired. Simply found that most works get the listener bogged down with too much detail so people don't get out of the A's. If you want more, there is more out there. Simply has set this up so you can succeed, gain confidence, and get out of the A's and on your way to the Z's!